Our installation was part of something called BIG Studio - a collection of local art showcased in partnership with BIG Winter Classic, an annual Calgary music festival in the dead of winter. We were humbled by the talent of the other artists and stoked to be involved. Coming up with an idea was easy - we had lots of them. Centred around the meaning of community, we wanted to ask Calgarians what they loved about their communities and illustrate those ideas into a map. It's easy to give Calgary a hard time - it's cold with a pretty conservative demographic. It's expensive to live in and sometimes, it feels kinda boring. But once you're here and settled into your own pockets, you find the people and spaces that keep you here to stay. Those were the stories we wanted to hear. We wanted the map to evolve each week. Initially, BIG Studio was the full month of January, but because of the extreme cold during the holidays, the gallery’s pipes burst and cut our time short. Starting with our own version of the map, we started the conversation January 11, not sure what the response would be, if any at all. Using an overhead projector straight out of the ‘80s, we projected the map on the gallery wall. Below the map we hung four mailboxes - one for each quadrant. We threw a bunch of blank postcards on the table below the projection, and asked people to draw or write something they loved about their community and put it in a box. Over the course of two weeks we collected 143 postcards, which totally blew our minds. We used the community postcards to fill in and complete the map over the course of BIG Studio. 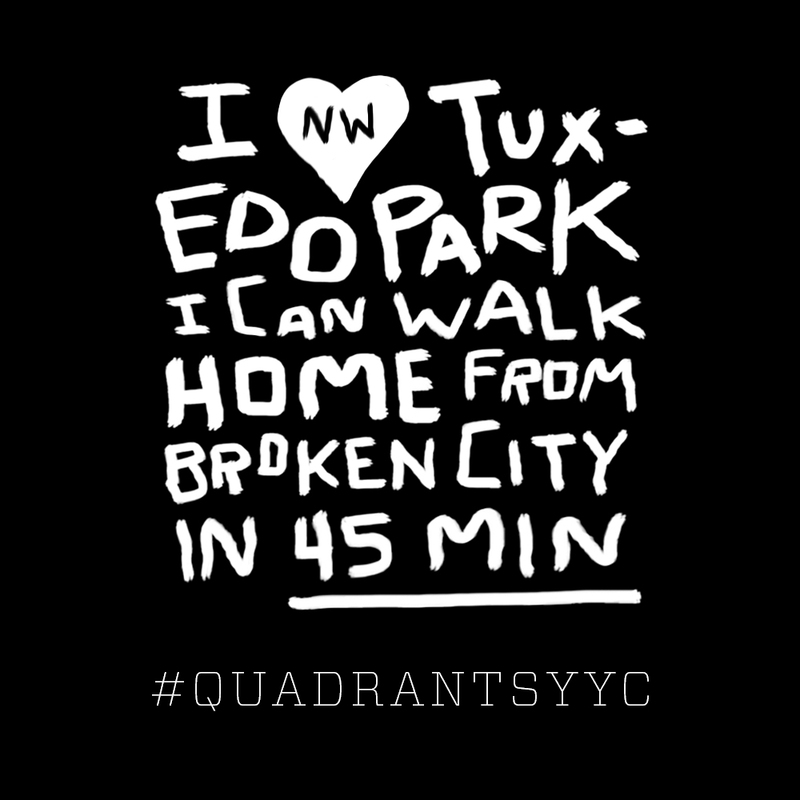 We started integrating quotes and interpretive doodles from the content on the cards into the map, and then got conversation going through social media using the hashtag #quadrantsyyc. After a week we swapped out the transparency to include the new doodles inspired by the postcards. It was straight up Calgary; it was fun, inclusive and meaningful. The new map was up just in time for the BIG Winter Classic festival, and the Gerry Thomas Gallery was one of four venues. We couldn’t wait to dig through the mailboxes and collect the postcards each night. The festival was buckets of fun: four days of local music on six stages. A bunch of awesome shows went down in the gallery, and with that, all the more inspiration for our map. Hundreds of people visited the space over the two weeks. It was all very cool, especially cool for Calgary. For a closer look at the postcards we received, the drawings inspired by them, and our process, check out our portfolio. 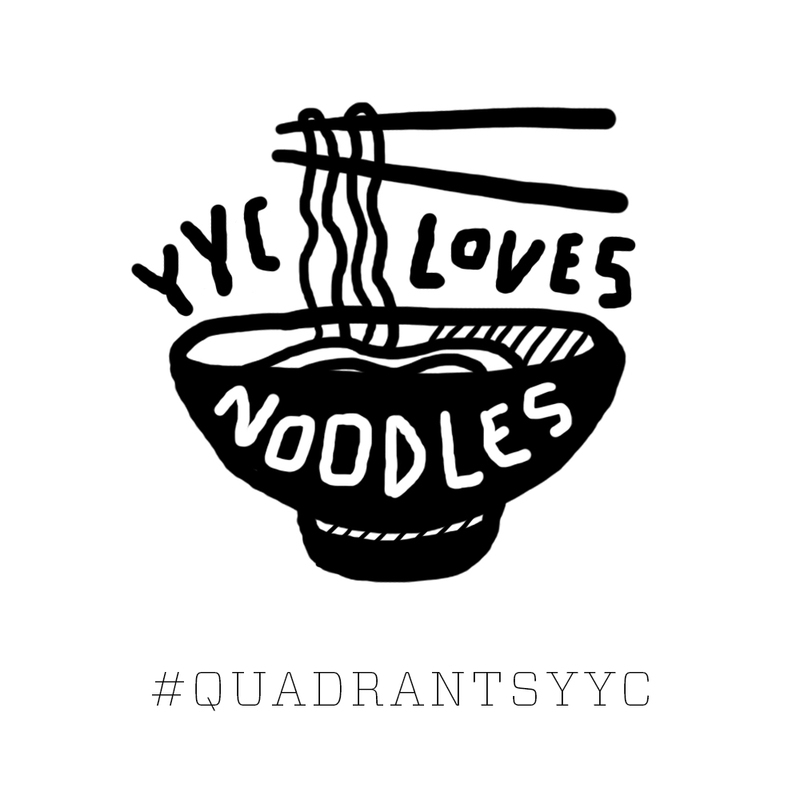 This project is not finished - stick with us as #QuadrantsYYC continues to grow in ways we probably don't even see coming yet. Thanks Calgary.